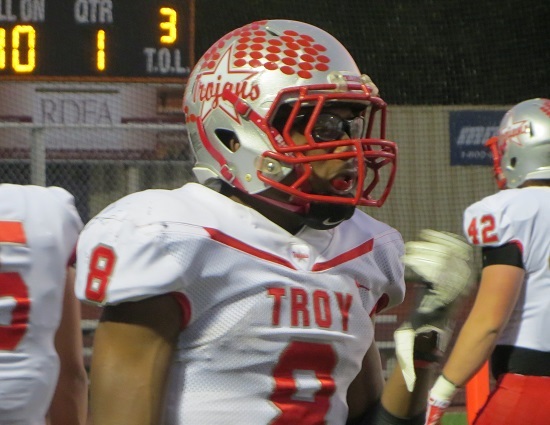 TROY, ohio – The legs and endurance of Troy running back Jaydon Culp-Bishop were too much for Turpin too handle. The Trojans senior carried the ball 37 times for 238 yards and two rushing touchdowns. It was the fifth time in his last 12 starts that Culp-Bishop has ran for 200 yards or more. He also took a kickoff 75 yards to the house and finished the affair with 319 all-purpose yards. Turpin linebacker, Hunter Pembleton chased Culp-Bishop around all night and ended up getting in on a game-high 19 total tackles (11 solo). UP NEXT: Turpin is on the road at West Clermont (1-2) to start ECC play. Troy is at Stebbins (0-3) who is allowing 48.3 points per game.